We'll be seeing Mad Hatter in Season 3. We'll be seeing the Tweedle Brothers, too, if we're going to bring the Hatter in. In line with the Court of Owls, we'll be seeing Talon. And, we should be seeing Solomon Grundy. Stephens revealed this lineup in an interview with Comic Book Resources, though he didn’t provide any context for how they will be brought in, which isn’t surprising considering that the Gotham writers have only just started working on Season 3. Still, hearing that these five villains will be appearing is intriguing, so let’s go over who these characters are. Jervis Tetch, a.k.a. the Mad Hatter, borrows his name from Alice in Wonderland, but he’s significantly more frightening and unstable than the literary character. He uses mind-control technology, whether placed inside a hat or controlled via his own oversized hat, to manipulate whoever he chooses. Hatter was mentioned as a villain who could appear in Gotham Season 2. That didn’t end up happening, but Hugo Strange did indirectly reference him when he read a quote from Alice in Wonderland as preparation before instilling a new personality into one of his newly-resurrected subjects. Like the Mad Hatter, the Tweedle brothers (originally cousins) borrow their super villain identities, Tweedledum and Tweedledee, from Lewis Carroll’s classic novel. The brothers are notable for their enhanced strength, and while they have plotted their own schemes on occasion, they frequently work with Hatter as part of his Wonderland Gang. This means they could work as villains in their own Gotham episode on as henchmen serving Mad Hatter. Following the Court of Owls’ debut in last week’s Gotham episode, it makes sense that at least one of their personal assassins, the Talon, would be introduced. It’s unclear which Talon Stephens was specifically referring to, whether it was William Cobb, the first Talon introduced in the New 52, or Calvin Rose, the only Talon to escape the Court’s clutches who also briefly led his own series. Finally we have Solomon Grundy, who was originally a 19th century man named Cyrus Gold. After Gold was killed, his body was dumped into a mystical swamp near Gotham City, and over a century later, his corpse was reanimated as a zombie powerhouse with his own distinct personality. He will be the trickiest villain to pull off on Gotham since the show has barely delved into magic and mysticism. Even Arrow’s version eschewed his undead roots in favor of making him a Mirakuru-enhanced super-soldier. 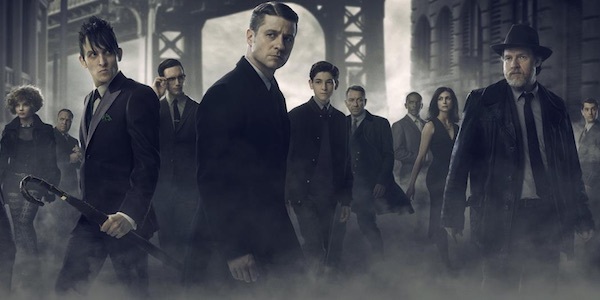 It will be many months before these villains debut on Gotham, but let us know what you think about their inclusion in the poll and comments below. The Season 2 finale, titled “Transference,” airs tonight at 8 p.m. EST on Fox. Which Of These Villains Are You Most Looking Forward To Seeing On Gotham?